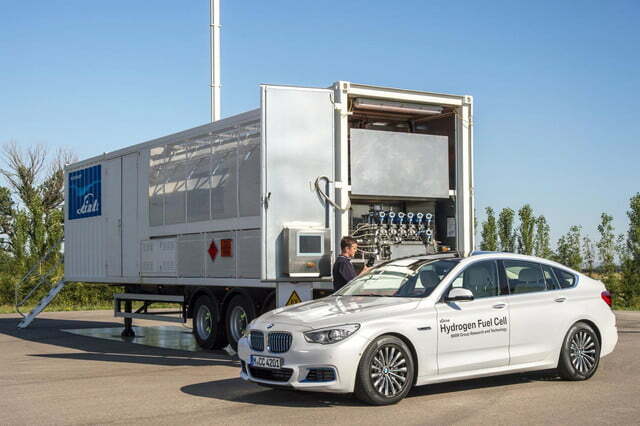 BMW is jumping on the hydrogen bandwagon with the debut of two fuel-cell powered prototypes based on two very different production models. 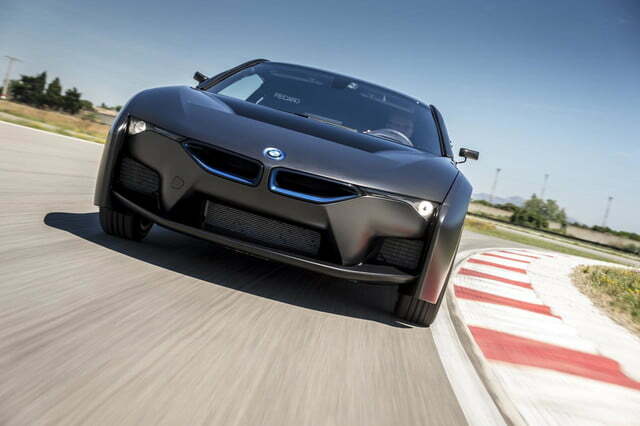 Those cars — a modified i8 coupe and 5 Series Gran Turismo hatchback — debuted at BMW’s Innovation Days 2015 event and represent the first tangible result of the German carmaker’s ongoing collaboration with Toyota. 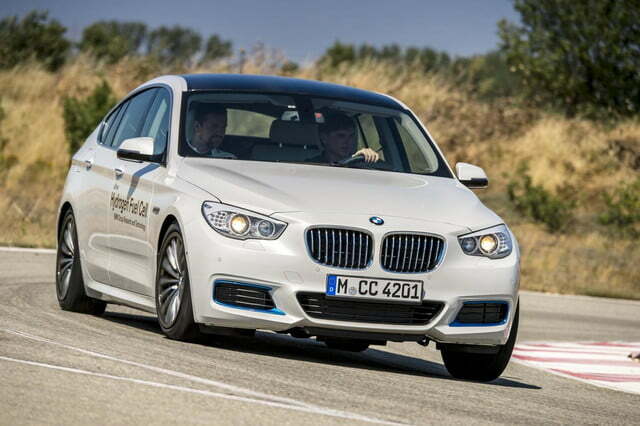 The 5 Series GT features a 245 horsepower electric motor adapted from the ones used in BMW’s “i” models. 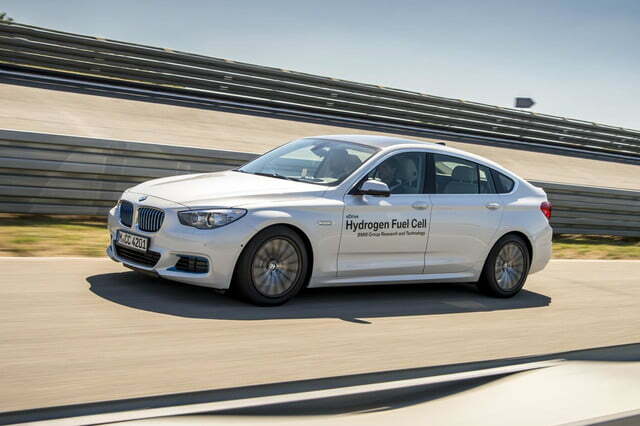 The hydrogen is stored in a tank built in the central tunnel between the front and rear axles. While the 5 Series GT retains its problematic stock looks, BMW gave the i8 a dramatic makeover in its transition from plug-in hybrid to hydrogen fuel-cell vehicle. The recaptured bodywork, aerodynamic wheels, and matte black paint make it look like stealth jet fighter. 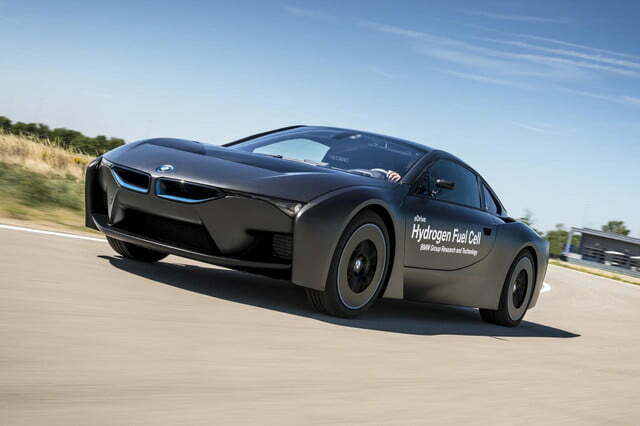 BMW claims both cars can travel 300 miles on one tank of hydrogen, with refueling taking about five minutes. However, it wasn’t willing to disclose any other specifications. Both cars are also the result of BMW’s partnership with Toyota, which will launch its Mirai fuel-cell car in the U.S. later this year. While BMW got access to Toyota’s hydrogen knowledge, Toyota will be getting a new sports car out of the deal. That car is widely expected to be a successor to the cult-classic Supra, and BMW may also use the platform for the next version of its Z4. 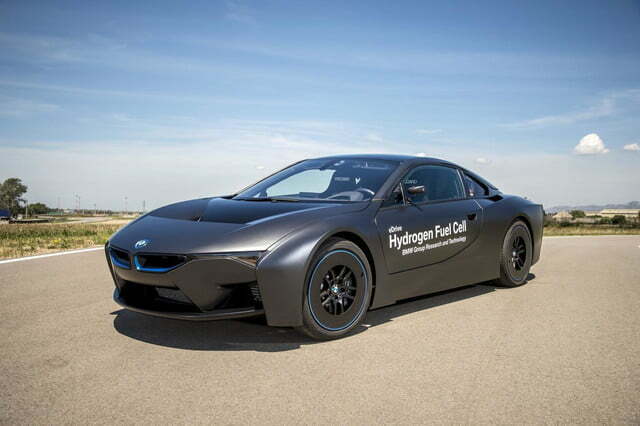 The two fuel-cell prototypes are for demonstration purposes only. 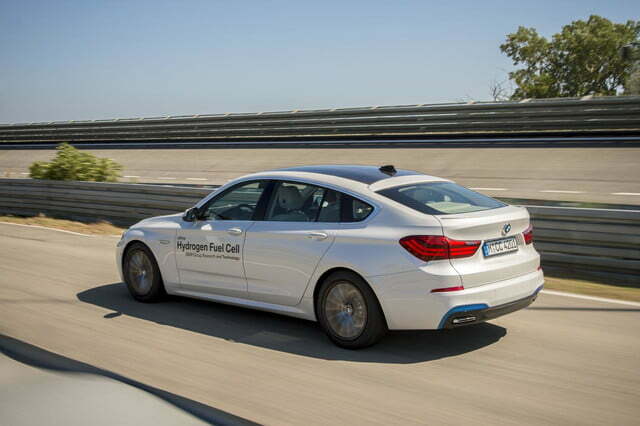 BMW has no firm timeline for a production fuel-cell car, although it hopes to continue working with Toyota toward the goal of having powertrain components ready by 2020. 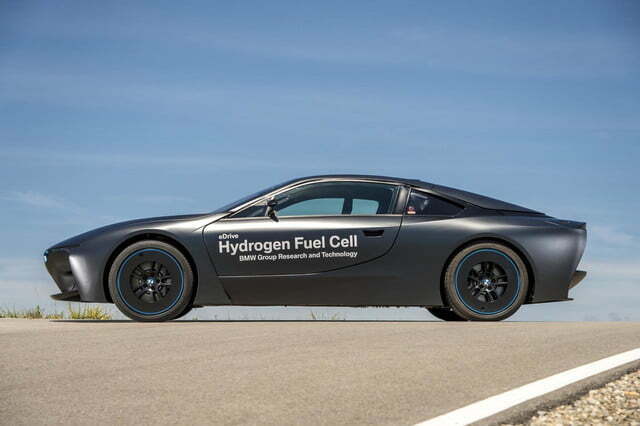 It believes fuel cells could make “an ideal addition” to both its “i” sub-brand and mainstream model line. There have been rumors that the next “i” model will feature a fuel-cell powertrain, but the company has offered no evidence that is the case so far. As with ongoing efforts by Toyota, Honda, and Hyundai to market volume fuel-cell cars, the main issue will be infrastructure. There are only a handful of hydrogen stations operating in the U.S., and since they’re much more expensive than either gas stations or electric-car charging stations, building more will be somewhat difficult.